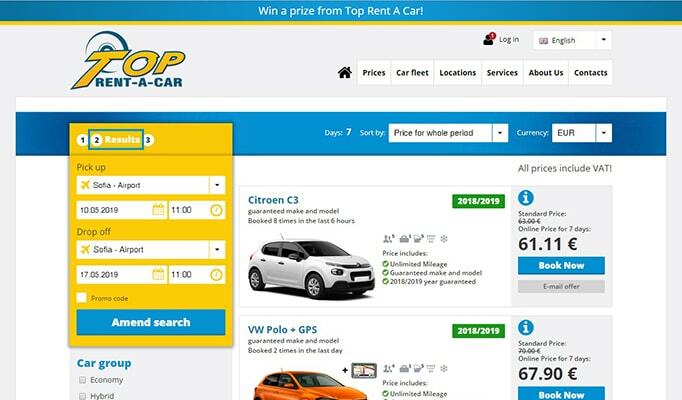 In 2016 Top Rent A Car officially became the first car rental company in Bulgaria who included guaranteed make, model and year of production of car fleet and over the years continued to develop its policy in this direction. 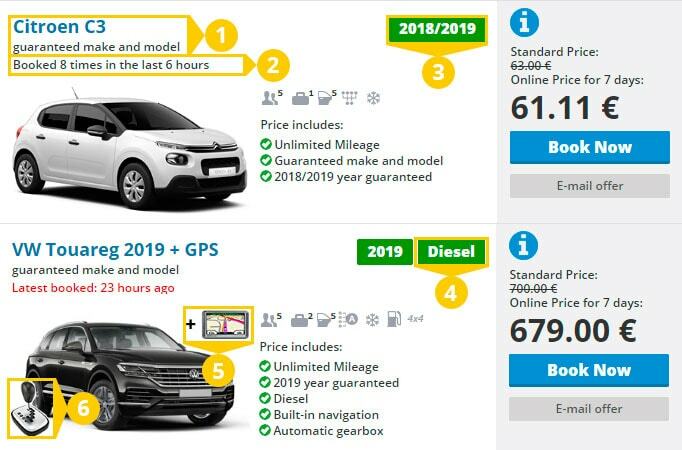 Today almost all Top Rent A Car car classes are offered with guaranteed make and models, year of production as well as some other features such as fuel type and built- in navigation. Thanks to this innovation, YOU - our customers can be calm and sure that you will take exactly what you've chosen during the reservation process. In order to make it easy for you to recognize the guaranteed innovations and some useful customer information we've selected few examples that you can see below. Therefore you can be sure, that the car you are going to receive will include all guaranteed specifications. The icons "Automatic gear box" and "Integrated GPS navigation" are showing that the selected vehicle has them. You can find that information in step 2 of the reservation process.